Gorgeous new pics. Thanks DSP. He appears to be letting his beard grow again! He appears to be letting his beard grow again! Thank you Marie. Yes Maxi Beard! Lovely new pics. So good to see him again and yes quite a bushy beard at the moment!! Thanks, DSP. Nice photo. The man with Simon in the preceding picture is awfully familiar, but I can't place him. It looks like Karl Stefanovic an Australian TV presenter and co-host of Nine Network breakfast programme. 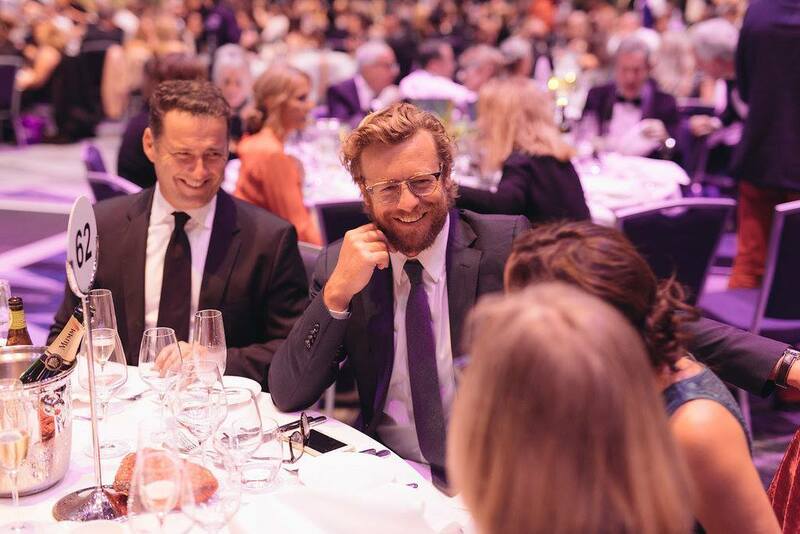 What a pleasure it was to meet Simon Baker at the Cure Brain Cancer Ball. He was a true gentleman & his wife Rebecca was just lovely! Who would have thought 25 years later I'd meet my teenage crush! Is this an hotel room? I read on Instagram they went to see Stella's play in the US. Maybe it's Naomi's home. She lives in New York, and I can't imagine that Simon and Rebecca wouldn't take an own hotel room and all stay in Naomi's room. It seems she is not too happy with so many guests . Of course! Stella's play is now, and they are there to watch this.